After Hurricane Katrina, ten years ago, we were told -- over and over and over -- hurricanes were going to become more intense and more frequent as a result of global warming. The graph above shows just the opposite has occurred in the United States. 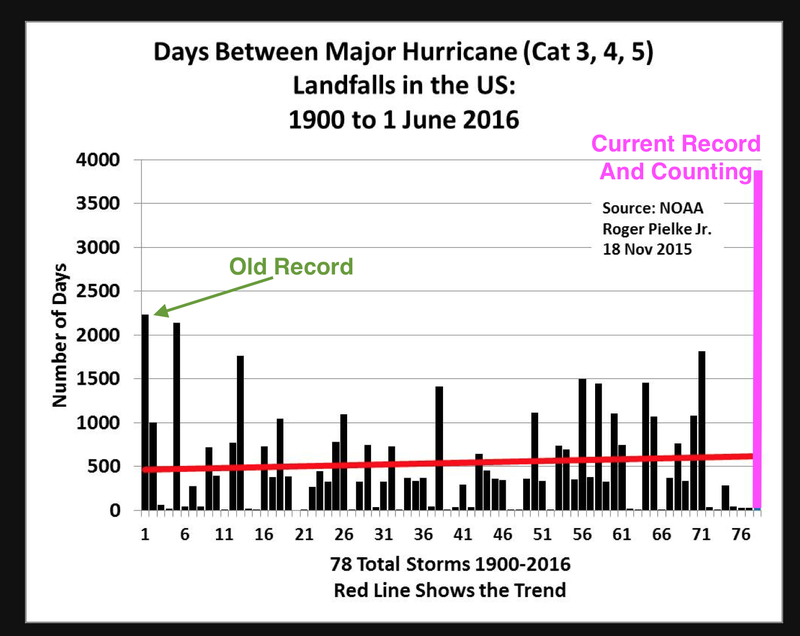 We are at virtually double the previous record of more than a century ago. 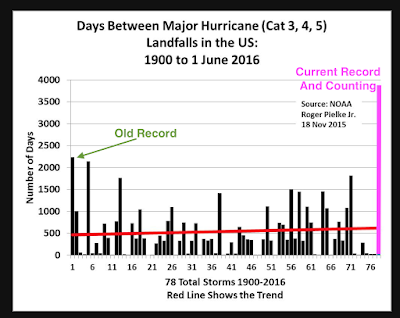 Keep in mind the quality of those 2005 hurricane forecasts when you hear the "science is settled" regarding global warming.